Cartoon Network’s newest original animated series Adventure Time premiered Monday night as television’s #1 show on either cable or broadcast at 8 p.m. among kids 6-11 and kids 2-11, as well as the #1 telecast of the entire night on all TV among boys 6-11, boys 2-11 and boys 9-14, according to preliminary data from Nielsen Media Research. Earning triple-digit gains compared to the same 2009 time period, Adventure Time also scored as Cartoon Network’s #1 telecast of the year to date among kids and boys 6-11, as well as kids and boys 2-11. This outstanding premiere performance has prompted the network to order 13 additional episodes of the new series, which will continue to air premiere episodes into the fall. Adventure Time is produced at Cartoon Network Studios in Burbank, CA. 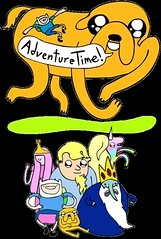 Adventure Time also served as the anchor to a new night of prime time comedy programming on Cartoon Network. Propelling additional comedy series The Marvelous Misadventures of Flapjack (8:30 p.m.), Chowder (9 p.m.) and 6Teen (9:30 p.m.) to solid ratings and delivery gains vs. the same time period last year, Adventure Time fueled Cartoon Network to rank #1 overall for the night in prime time among all television networks with boys demos. Cartoon Network also ranked #1 for total day delivery of boys 6-11 among all networks. Adventure Time introduced viewers to unlikely heroes Finn & Jake, buddies who traverse the mystical Land of Ooo and encounter its colorful inhabitants. 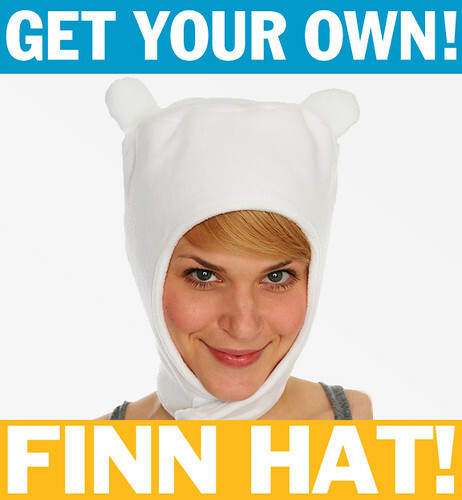 From the mind of creator Pendleton Ward, Ooo is a land built for adventure. Teeming with imposing mountains, lush green plains, accessible forests, ubiquitous prairies and winding rivers, the cities and towns are filled with bizarre characters in need of unique assistance. Whether it’s saving Princess Bubblegum, defeating zombie candy, mocking the “oxy-moronic” Ice King or rocking out with undead music wiz Marceline the Vampire Queen, for Finn & Jake it’s always Adventure Time. 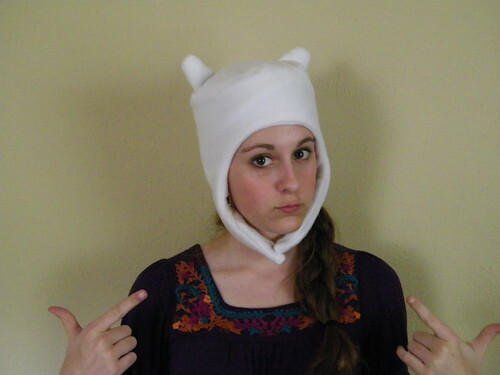 Adventure Time with Finn & Jake is produced in partnership with Frederator Studios with Fred Seibert serving as an executive producer on the series. The premiere season will feature celebrity voices including Henry Rollins, Mark Hamill, George Takei, Lou Ferrigno and Erik Estrada. Congratulations to Pen and the show’s cast and crew. P.S. Oh. And, like the press release says, the network has ordered another thirteen half-hours to take us to twenty-six (but maybe you already knew that).